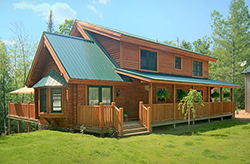 About Us - DeWitt Lumber Co.
DeWitt Lumber Co. is Central Michigan’s source for any and all home improvement supplies. Whether you need lumber for a deck building project, doors and windows for your home, cabinets and countertops for a kitchen remodeling project or tools and hardware, DeWitt Lumber Co. has you covered. 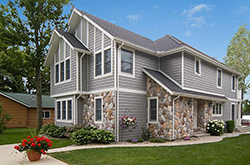 DeWitt Lumber Co. is one of the oldest family-owned home building centers; we’ve been serving customers since 1890! Whether you simply want a few tools and supplies or you need assistance with designing and special equipment, our experienced team will make sure your project is completed. 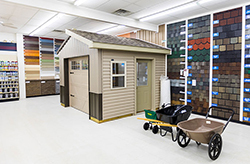 Our home building center stocks all the products and supplies you need to bring any home project to life. We focus on providing a wide selection of affordable, reliable and durable products from the industry’s best brands. And if we don’t have something, we can order it for you! Be sure to stop by soon and take a look at our inventory. One of our friendly staff members would be happy to help you find exactly what you’re looking for. Maybe you’re experienced with DIY projects, or maybe you’re a new homeowner looking to improve your home for the first time. 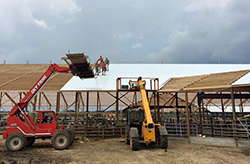 Whatever your experience level, the staff at DeWitt Lumber Co. can help you come up with a design, find the necessary products, put together an estimate and deliver specialized equipment. Make sure you discuss your cash flow needs with us, and we can see if a monthly contractor charge account will fit your needs. Come shop at DeWitt Lumber Co. today to find all the lumber, roofing supplies, siding supplies and tools you need to improve your home.